On 21 January, a semi-final draw of 18. 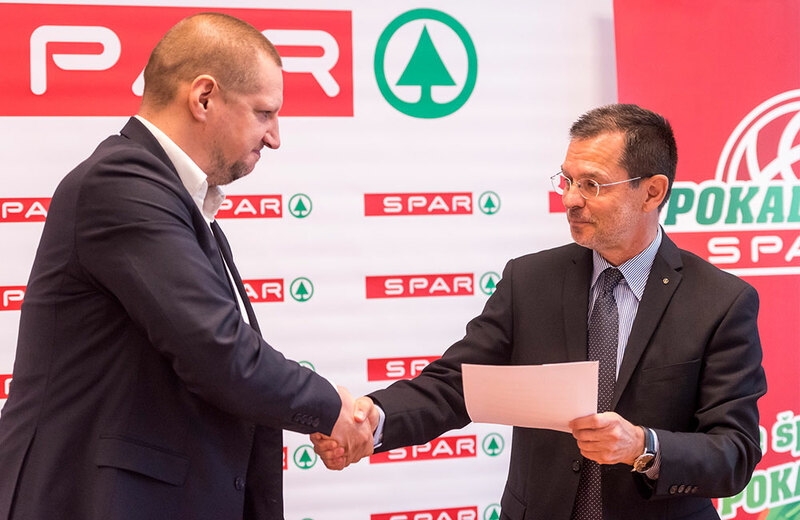 Spar Cup took place at Spar Slovenija’s headquarters. The tournament will host Petrol Olimpija, Helios Suns, Sixt Primorska and Hopsi Polzela. The best basketball teams will compete in Arena Bonifika in Koper, and the matches of four teams are scheduled for 16 and 17 February 2019. Prior the final tournament of the 18. Spar Cup, the conclusion of the eighth season of the Spar Mini Cup will be held as the games for the 3rd place and the finals are scheduled for 17 February. The Spar Cup winner will be known on 17 February after the final match, which will be broadcasted – as semi-final matches – by Šport TV. The Spar Mini Cup matches will be broadcasted on the Basketball Federation’s kzs.si web portal.